Local Automatic Transmission Repair Service in SA, TX near me - Sergeant Clutch Certified Engine & Transmission Repair Shop is family-owned and operated business serving the San Antonio and surrounding areas. Sergeant Clutch is an ATRA Member and an Accredited A Plus Better Business Bureau Member. Sergeant Clutch proudly serves Military Town USA, Lackland Air Force Base, Kelly Air Force Base, Brooks Air Force Base, Randolph Air Force Base, Medina AFB, Fort Sam Houston, Brooke Army Medical Center, Wilford Hall USAF, Camp Stanley & Camp Bullis. Got Automatic Transmission Problems? Having transmission problems can seriously limit the ability for your car or truck to operate properly. Few vehicle repairs can be as intimidating as automatic transmission repair. Sergeant Clutch Certified Engine & Transmission Repair Shop has a goal to create the fastest and simplest way to get great automatic transmission repair services at the best price! Today’s cars and trucks are loaded with high tech gadgets, transmission sensors, transmission solenoids and complex computers. The automatic transmission is the most complicated system in your vehicle. It’s made up of hundreds of complex interconnected parts and components that enable your vehicle’s transmission to operate and shift properly. However, not all automatic transmission problems require a complete transmission rebuild or transmission replacement. Solving automatic transmission problems doesn’t have to be an expensive or a complicated process. Sergeant Clutch Certified Engine & Transmission Repair Shop is ready to handle all of your automatic transmission repair needs. We will diagnose your automatic transmission problem with accuracy and give you a detailed description of any repairs needed to fix the transmission problem. Some automatic transmission problems may only require an adjustment that can be made without removing the entire transmission. Get the quality personal service you deserve. Call or stop by Sergeant Clutch Certified Engine & Transmission Repair Shop at the first sign of transmission problems, we’re here to help. We understand that keeping, maintaining and repairing your automatic transmission isn't necessarily the way you'd like to spend your money. While most people don’t budget for transmission repairs. Dealing with transmission repairs can be frustrating and stressful. Many times customers find they can’t afford to pay the full cost of the transmission repair bill. That’s why Sergeant Clutch Certified Engine & Transmission Repair Shop offers Payment Options to help those customers. Apply Now! While it’s true that Sergeant Clutch is a Full Service Automotive Repair Center, it is true that we are experts in automatic transmissions and drive-line repairs. Sergeant Clutch specializes in Rebuilding Automatic Transmissions and we do it better than anyone else. We rebuild automatic transmissions using premium parts to ensure peak performance. When you’re in the market for an automatic transmission count on Sergeant Clutch. Where quality automatic transmission service and affordable pricing come together. Sergeant Clutch Certified Engine & Transmission Repair Shop is the premier source for Automatic Transmission Problem Solving. Our certified Transmission Mechanics keep your Car, Truck or Suv shifting gears. Sergeant Clutch has over 75 years of experience in the Auto Repair and Automatic Transmission Repair Industry. Sergeant Clutch Certified Engine & Transmission Repair Shop takes great pride and attention in every transmission job we do. You can expect us to fix your transmission right and save you money. 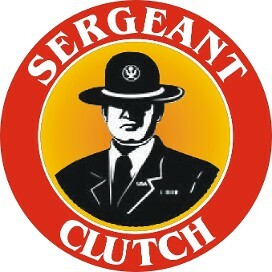 Find out why Sergeant Clutch is highly recommend by friends and family. Our transmission mechanics believe that good customer service can turn a one-time customer into a lifetime customer and friend. Stop by our shop and notice how clean, inviting and customer friendly we are. That’s the Sergeant Clutch Difference!